You would have time for all the things that really matter: growing your business, fostering innovation, thinking out-of-the-box, conjuring up ideas for new campaigns, spending quality time with your loved ones, learning a new hobby… You get the idea. ActiveTrail’s Zapier integration is redefining the way we conserve resources. If the introduction of ActiveTrail’s automation tool made your lives easier with room to breathe, now, with the option to integrate with over 750 systems, you can create automatic processes that you could only dream of up till now! Of course, ActiveTrail has a very easy to use, developer friendly RESTful API for programmers who wish to integrate with other systems, but for those who don’t possess programming knowledge or don’t want to engage development resources, we offer an excellent, simple and speedy solution – Zapier integration, that allows you to connect ActiveTrail to any 3rd party system you may desire, with ease and without programming. Similar to constructing an automation in ActiveTrail, creating a “workflow” between systems is based on the Trigger and Action principle. You can set up the system such that in lieu of a certain event (Trigger) occurring in one system, an Action is executed in another system. These are just a few examples but however complex your pipeline, you can create an endless number of different customized Zaps between ActiveTrail and over 750 state-of-the-art systems, each in their own field. 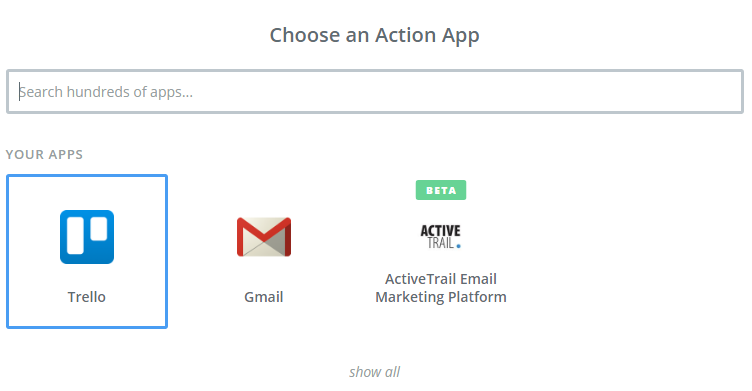 Add ActiveTrail to your Zapier account (use Token generated form the ActiveTrail system). 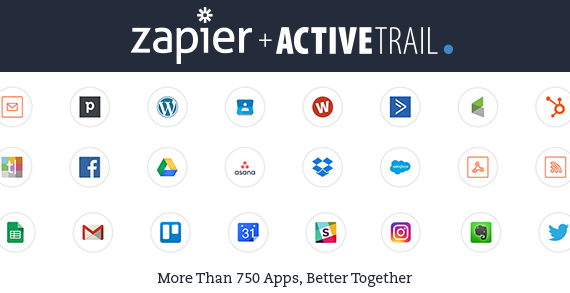 Start connecting ActiveTrail to anyone of the 750 systems Zapier works with. Sit back, relax and watch the magic unfold. ActiveTrail’s integration with Zapier can strengthen your ties with your customers, increase your sales, and maximize ROI. 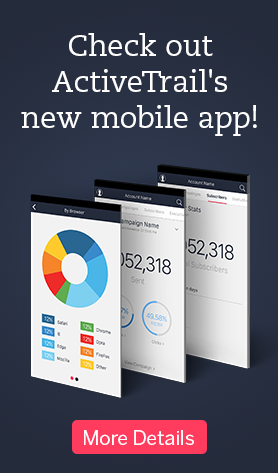 What else does a business need? 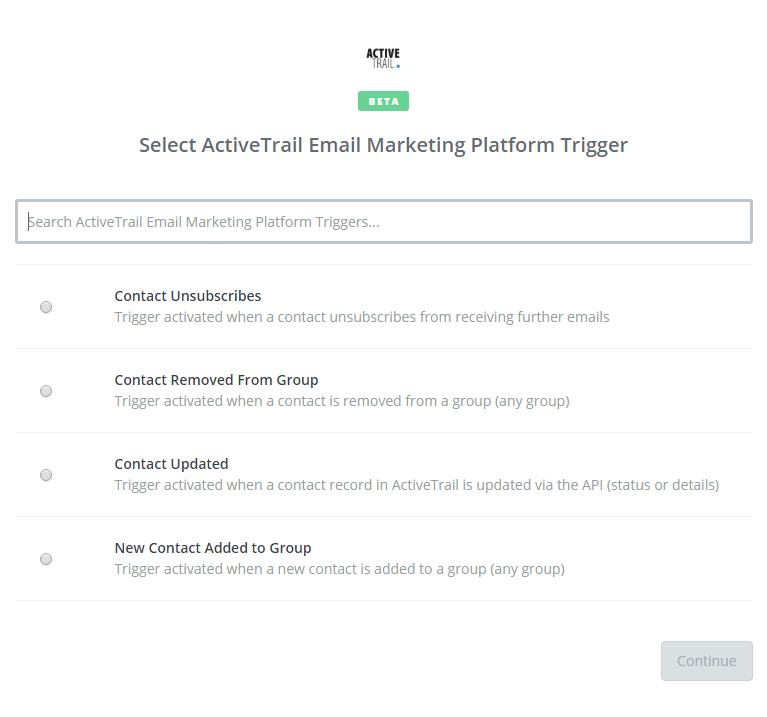 Would you like more information about ActiveTrail – Zapier integration? Call us and speak with a member of our exceptional support team – 1-212-203-0074.